It seems like forever ago that we introduced you to the Cantu Rova wheelset we’ve been testing, but in reality it’s just been a bit over six months. 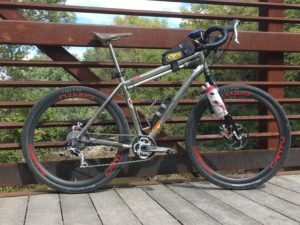 In that time, I’ve ridden them on four different bikes – today running single speed on one of my all time favorite drop bar bikes, the Singular Gryphon. The Rova wheelset performs great on MG’s singlespeed Singular Gryphon. 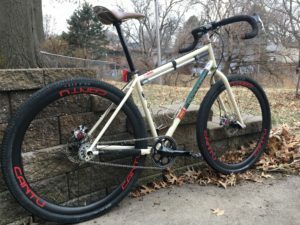 He’ll be racing this setup at the Land Run 100 and a number of other gravel events in 2019. 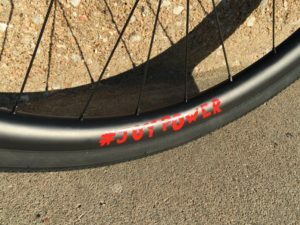 This post will focus on my final impressions of the Rova wheelset. For weights, specs and technical details, check out my earlier Getting Rolling and Checkpoint posts. Without a doubt, there is a lot to like about the Cantu Rova wheelset. The weight is competitive, at 1567 grams for our set. While it’s true there are lighter options available, most aren’t using 35mm section, 30mm wide external/24mm internal width rims. The Enve G23 wheelset Guitar Ted tested recently is a good example. At 1290 grams, they’re 273 grams lighter, but at $2,800, they are more than $1,200 more expensive. The Enve wheels also use a lower profile rim, which I’m pretty sure would be less aerodynamic at speed than Cantu’s 35mm profile rim. 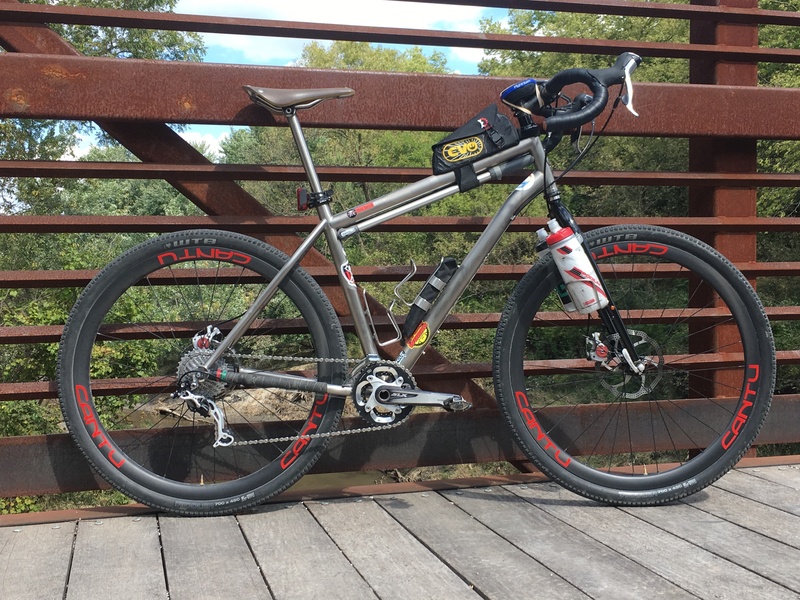 The Rova wheelset looks and performs great on MG’s eight year old QR-equipped Ti Salsa prototype. Swapping end caps from through axle to QR is quick and easy. Your mileage may vary, but after riding the Rova wheelset back to back with lower-profile wheels on the same bike, I’d bet money the Cantu wheels were faster in virtually every situation. Part of this very well could be the ultra-smooth stainless steel cartridge bearings in the hubs, but I feel like the rim profile had something to do with the wheels’ speed as well. Yes, I can feel strong crosswinds a little more at times, but it’s never felt sketchy or out of control. On the flip side, crossing tailwinds made the bike distinctly faster, a feeling I’ve come to appreciate very much on fast rides and during events. And the overall ‘quiet’ composure and excellent ride quality the wheels display in rough gravel conditions is as good or better than any other wheels I’ve ridden to date. Another benefit of working with Cantu – custom graphics are available. Super-fast masters rider and Cantu ambassador, Robb Finnegan, has custom #JOYPOWER graphics on his Cantu Rebel wheelset. The other thing I like about the Rova wheelset, and all of Cantu’s wheels, is that they’re crafted by an incredibly talented, experienced wheel builder. 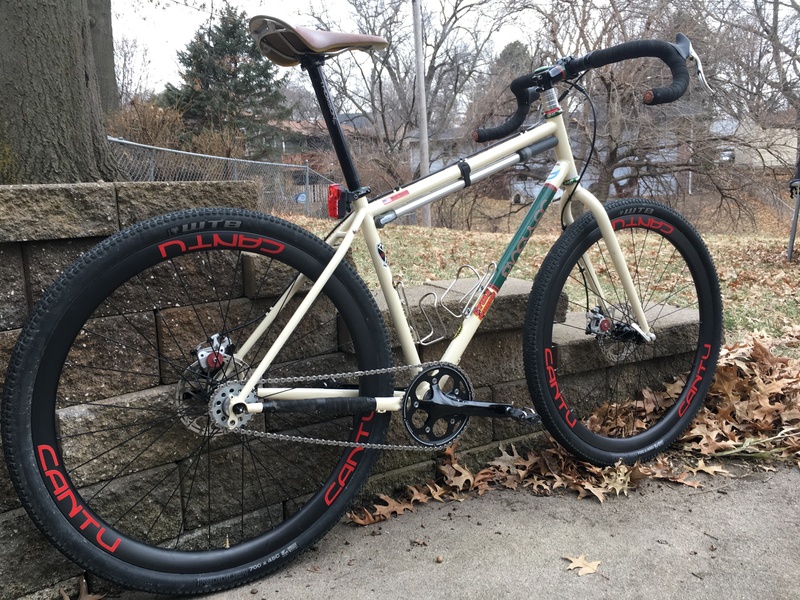 John Wilmeth is not only a pleasure to work through the process with, he also has the perspective to be able to tweak his wheels’ “stock” build to maximize their performance for virtually any rider type, size, bike or terrain. 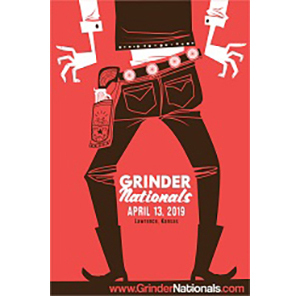 With great wheels, one size truly doesn’t fit all, or even most, so John’s experience and wheel building expertise are well worth the time and investment. There’s no denying $1,595 is a lot of money to pay for bicycle wheels, but you get what you pay for with the Cantu Rova wheelset. They look incredible and have been 100 percent reliable. After more than six months of rough riding on multiple bikes, they’re as straight as they were on day one. Every time I ride them, I’m impressed. That’s value to me. Looking for a way to spruce up the performance of your favorite gravel bike? Head over to CantuWheels.com and check out their entire line of gravel, ‘cross, off-road and road wheels. They’re top notch. Please Note: Cantu Wheels sent the Rova wheelset to RidingGravel.com for test and review at no charge. We are not being paid or bribed for this review and we will give our honest thoughts and opinions throughout. Got more interested in the Singular Griffon and the Ti Salsa prototype than the wheels. Cool bikes!